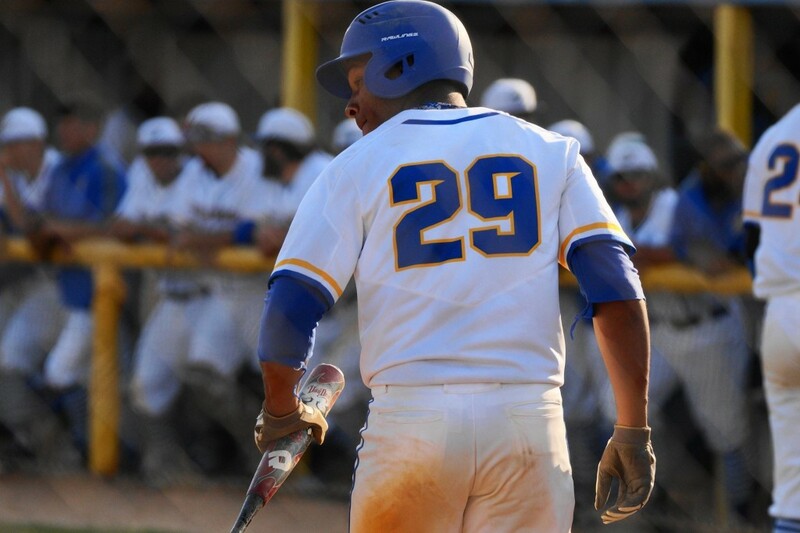 As a high school baseball player, Javion Randle had dreams. Division I dreams. Problem was, the offers weren’t exactly pouring in. He toyed with the idea of walking on at nearby University of Houston. He also had discussions with Texas Southern and thought about the junior-college route. While he was exploring his options, which seemed to be scarce, he continued to work out and go to scouting showcases. Jarvis Christian assistant Nick Pena spotted him at one of these workouts and struck up a conversation. JCC wasn’t on Randle’s radar. In fact, the Bulldogs were barely a blip on anyone’s radar. The tiny school in Hawkins, Texas, put its baseball program on hiatus for the 2011-12 academic year, and in the three seasons before that, the team was a combined 26-65. 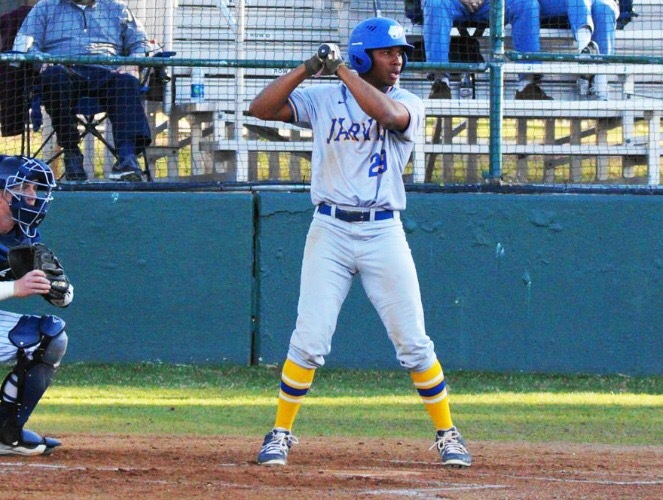 The program returned in 2012-13 with Michael Holochuck as coach, and the rebirth of Jarvis Christian baseball dovetailed perfectly with Randle’s search for a school. Pena told Randle about the cozy, small-school atmosphere and the chance to play right away. Though admittedly unimpressed with JCC’s baseball facilities, Randle liked the school and decided to enroll. The marriage has been perfect. Randle helped the Bulldogs win 91 games the past three years while establishing himself as one of the best players in the NAIA. And after being ignored by most college programs, he has the attention of major league scouts. The senior entered the weekend ranked seventh in the nation in hitting (.482), tied for ninth in hits (53) and sixth in on-base percentage (.563). “Even early on in his career, he had what guys describe as the ‘it’ factor,” Holochuck said. “Just something different about him. Very mature. Very eager to learn. You saw the raw athletic ability and the athlete that he was. He was very eager to work and very easy to coach. Randle made an impression quickly. With some established upperclassmen ahead of him on the depth chart, he didn’t start the first two games of his freshman year. 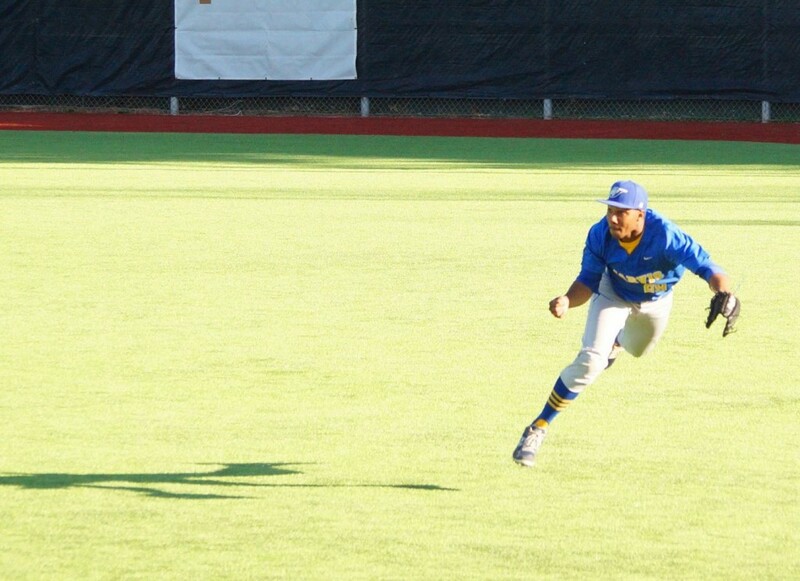 In the third game, Randle was penciled in as the starting right fielder. He hasn’t left the lineup since. By the end of his freshman year, he was hitting third in the order and went on to post a .340 average. He showed flashes of brilliance on defense, too. Against Division I Arkansas Pine-Bluff, JCC’s pitcher was working on a no-hitter when a ball came bounding toward Randle in right field. It looked like a sure base hit, but Randle charged in and threw out the runner at first. But as talented as he was, he still was a freshman with a lot to learn. Later in the season, Jarvis was ahead 1-0 late in a Red River Athletic Conference game when another ball came toward Randle in the outfield. He had it in mind to try and erase the runner at first again, but this time the ball hopped past him as he charged, resulting in a triple. JCC wound up losing the game in extra innings, and Randle learned an important lesson. To this day, a mention of the incident elicits an exasperated groan. He had to learn to adjust as a hitter, too. As an unknown freshman, he saw a steady diet of fastballs. Holochuck knew, however, that once the word started to get out about Randle, opponents would pitch him differently and throw him more breaking balls. He raised his average to .349 as a sophomore then hit .370 last year. Now he’s reached the point where he’s flirting with a .500 average. Scouts have taken notice. Holochuck said there were some indications Randle would be drafted last season, and though it didn’t happen, the coach still believes his star pupil can play at the next level. Holochuck said Randle doesn’t have any attributes that would scare scouts away. He’s 6-foot-1 and 195 pounds. He has good speed – 6.5, the coach said – an above-average arm, as his nearly 20 career outfield assists attest, and his hitting speaks for itself. The coach said while none of Randle’s tools would rank as off the charts, all five of them are solid. Moreover, Holochuck can’t say enough good about his right fielder’s character. He has a high-B average as a business management major and will graduate in May. He never has missed a workout or a practice. “The baseball side is great, but knowing he’s a good person who has worked at it and put in the time, that’s really what makes it enjoyable,” Holochuck said. “I think he has a legitimate chance to continue playing. I’ve tried to get as much exposure for him as possible. The last year, year and a half, we’ve had quite a few teams talk to us about him and come watch him. 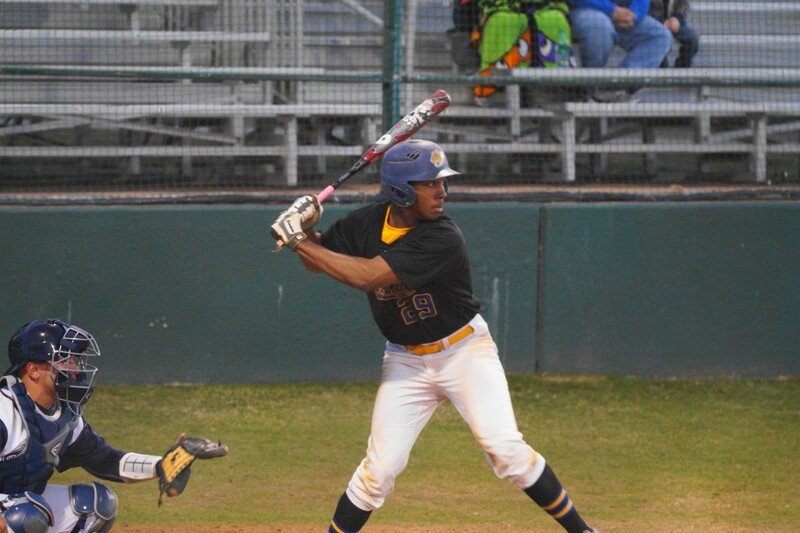 For his part, Randle chooses to focus on Jarvis Christian baseball winning games. He admits the thought of being drafted does cross his mind, but he doesn’t let it distract him from his more immediate goals. “The only thing I’m thinking about right now is winning,” he said. “I hate losing. I really just pride myself on winning. If I go 0 for 4 but we win, I’m OK. I care about other guys doing well as much as I care about myself doing well. “If (getting drafted) doesn’t happen, then maybe it just wasn’t in God’s plan. I don’t try to think about it too much. I just go out there and try to play hard as I can. Randle has a winning attitude which will serve him well no matter what the future holds for him. Wow Javion, all the hard work and dedication is paying off!!! Keep that humble spirit above all else and everything else will be add…way to go Theresa and Joseph!!!! This is awesome sounds like a story I have drew of about my son Brian out of Our Lady of Mercy Catholic High School in Fayetteville Ga. As a senior he too are trying to find that fit to play ball on the collegiate level but wants HBCU. I’m proud of Jarvis. Keep up the great work and laying a foundation for other young males that have the same dreams. I’m so proud of my son. I thank God for sharing you with me daily. Remember to always keep God first and everything will fall in place. I love you and keep up the good work! I don’t know where to start my heart is heavy and my eyes are beginning to water..You see that’s my son there talking about. …Not biological son but my son ! You see since the age of 3 I’ve been his DADDY /Father /Coach /Fan etc. You call it the ‘It factor ‘ I call it his Gift his future My son will play at the next level because of his gift from God . JAVION IS MY SON MY EVERYTHING and I am so proud of you my Son…..
What a great story that shows what determination and hard work can accomplish. I hope he is drafted – with his attitude he will go all the way.